After the huge reaction to Part 1 of their third studio long player Reformation, Super8 & Tab up the ante even further with their incredible new single Burn, featuring Hero Baldwin. This is the lead single from the forthcoming Reformation: Part 2, and is out now via Armada Music. On Burn we see the Finnish duo gifting us with an euphoric and immersive dance track with classic synth stabs, vocal samples and driving guitars. It starts soft and delicate before exploding into a summer festival anthem! Stream this gem below! We had Hero visiting our studio, and we played her this unfinished track which later became Burn. She really fell in love with the music and we wrote the song over it really quickly. Everything just clicked with this track. A track unequivocally designed with the dance floor in mind, ‘Burn’ provides the perfect soundtrack to kickstart this second wave of music from the Reformation project, Super8 & Tab once more finding themselves at the very heart of the reinvigorated trance movement. 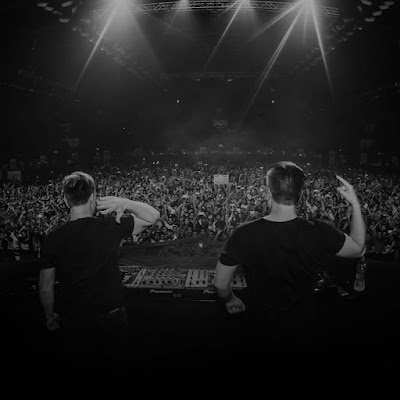 Fans can pre-order Reformation: Part 2 today at https://armadamusic.lnk.to/RPT2, with the full album seeing the global light of day on May 25th.